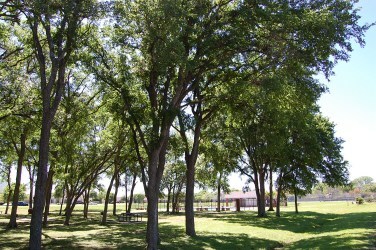 Cimarron Park and the Coves of Cimarron are two lovely neighborhoods in Buda. They are located off of FM 1626 and 967. These two neighborhoods offer a little space from your neighbors on acreage tracts from 1/3 - 1 1/2 acres. They also have some of the best shopping as well, being very convenient to the Outlet Malls of San Marcos, as well as Cabela's Sports and Outdoors. Amenities are awesome such as a neighborhood community pool, tennis courts, covered pavilion, and several picnic tables under a canopy of large shade trees. Commute times into Austin, Kyle, and San Marcos are well worth the drive. Homes for sale in Cimarron typically range from $200K - $300K.